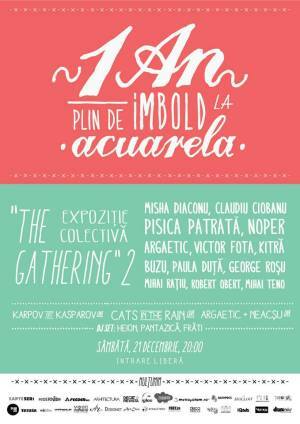 Collective exhibition "The Gathering # 2" brings together some of the artists who exhibited this year at the Imbold Gallery: Misha Diaconu, Claudiu Ciobanu, Pisica Patrata, KITRA, NOPER, Andrei Argaetic, Victor Fota, Ana Andronic Buzu, George Roșu, Robert Obert, Mihai Teno, Mihai Rațiu and Paula Duță. "Anniversary Party! " Party in Bucharest. You can get here description, reviews, address, time and details of "Anniversary Party! " Party in Bucharest. Visit Bucharest Tips for more Party events in Bucharest!